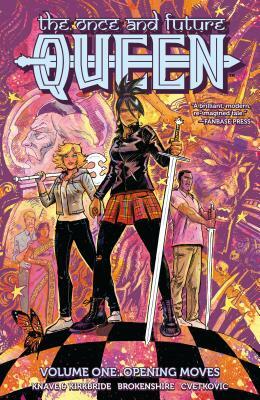 Rani Arturus is a chess prodigy with no plans to be a leader of any sort, let alone QUEEN. After she pulls the legendary sword Excalibur from the stone...well, no backsies. Now she must form a new round table made of friends and family to protect the Earth from an invasion of Fae, who'd like a new planet to call their own. It's magic, romance, adventure, and excitement as old myths reveal themselves to be fake, and new ones cause trouble for everyone! • Featuring a diverse team of characters with East-Asian, African, and British heritage, as well as diverse sexual orientation. • From the team who created Amelia Cole, an all-ages heroine who ran for 6 arcs at Monkeybrain and IDW.